Hartselle, Ala. – Cerrowire, a Marmon Group/Berkshire Hathaway company, launches a newly designed web site, which is now live at www.cerrowire.com. The company’s new web presence features a mobile-friendly format, as well as more intuitive navigation designed with ease-of-use for customers in mind. The site integrates the products, features and access to where to buy through retailers and distributors. With its new responsive design, the site intuitively adapts to the user’s device type so content readily conforms to any screen. The responsive nature of the site makes it useful for customers to access technical data using mobile devices on the job site. 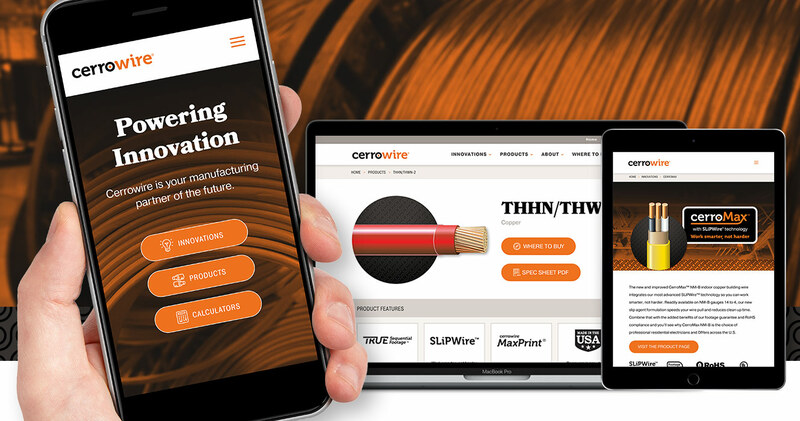 Cerrowire, a Marmon Group/Berkshire Hathaway company, is a leading U.S. manufacturer of copper building wire for residential, commercial and industrial applications. In addition to rugged and dependable products that are guaranteed, Cerrowire focuses on customer service and delivering on time & in full from our plants in Alabama, Georgia, Indiana, and Utah. Industry-leading innovations from Cerrowire give our customers a competitive advantage.